Vybz Kartel was released from the University Hospital of the West Indies last night and was escorted back to prison. The “Mhm Hm” deejay spent a week getting treatment for a severe kidney infection at the UWI Hospital. Urban Islandz learned that he was visited by his mother, his wife and kids, and his attorney. Sources told us that he is in good spirit and is feeling much better than a week ago when he was rushed to the emergency room after complaining about feeling severe pain in his side. Vybz Kartel, whose government name is Adidja Palmer, is currently serving life for a murder conviction back in 2014. Fortunately for him, an appeal court judge gave his attorneys the green light to proceed with his appeal case which is set for February next year. His lead attorney, Tom Tavares-Finson, has expressed confidence in winning the appeal trial and getting the artist freedom. 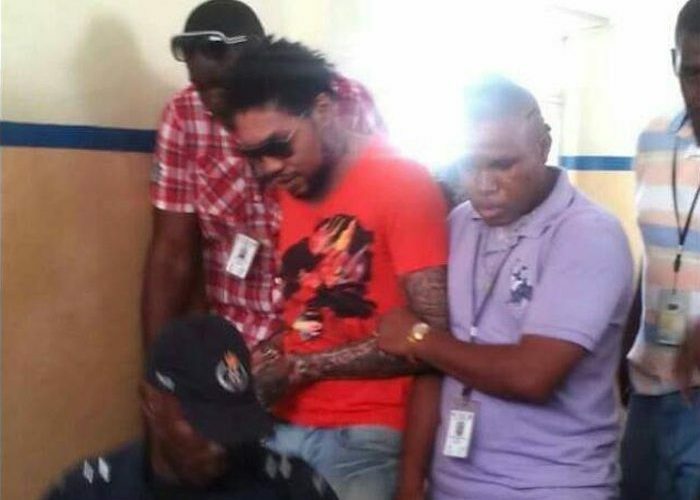 Vybz Kartel and his three co-accused, Shawn “Storm” Campbell, Kahira Jones, and Andre ST John, have all maintained their innocence. During the controversial trial, his attorneys argued in court that police officers tampered with evidence used to convict the four men, and even intimidated a witness for the defense. The murder victim, Clive “Lizard” William, body was never found. The prosecution played audio recordings in court where the accused men discussed the murder while revealed that William’s body was dismembered and disposed of in the sea. Some people inside Kartel’s circle are alleging that someone inside of the prison might have poisoned the dancehall star. We reached out to police sources who told us that there are no reports or active investigation into the allegation. Kartel has been behind bars since 2011, and this is his third time visiting the hospital for an illness since his incarceration. Get well soon Addi. Hopefully he will be luckier at his appeal hearing.